In what follows, we're are hugely inspired by and indepted to the two classic books by Jan Ebert and Einar Olufsen. Svend Svendsen started boat building together with his brother Jacob in the1880s - in the days of economic hardship in Denmark. Originally based on Refshale-øen, Copenhagen, Svend Svendsen later moved to Kastrup, South of Copenhagen. List of boats built by the Svendsen Brothers. Pictures of some of the Svendsen boats. Svend Svendsen was probably more of a revolutionary boat builder than what one is led to believe by only judging him based on Aage He was a superb craftsman - more than a designer - and alledgedly built many of his boats solely from sketches and looking at other boats. Apparently the Svendsen brothers, together with only a handfull of other ship yards, were the ones that hopefull designers would turn to when they wanted somebody to build a new boat in a daring design. Looking at the plethora of the "daring designs" by the Svendsen brothers, all from around 1900, one understands that the brothers were among the best. Finn keels and bulb keels were at that time not simple craftsmanship and the free hanging rudders, not attached to the sternpost and deadwood, (see Volante; Volante underbody and Gulnare; Gulnare underbody) must have provoked many old boat builder from a time when a boat comprised of a wooden keel, frames, and rocks and iron pigs as ballast on top of the keel plank. The path breaking design boats were quick but they quickly perished due their light constructions. 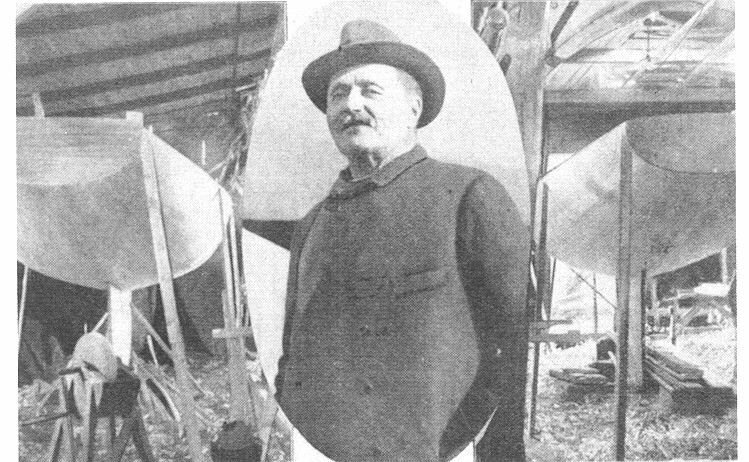 In the Danish literature on boat building from around 1880-1930 there are many references to Svend Svendsen. Not surprisingly, one of the first references to Svend Svendsen is concerned with the Svendsen brothers replicating a, at that time, famous Danish boat Mabel. 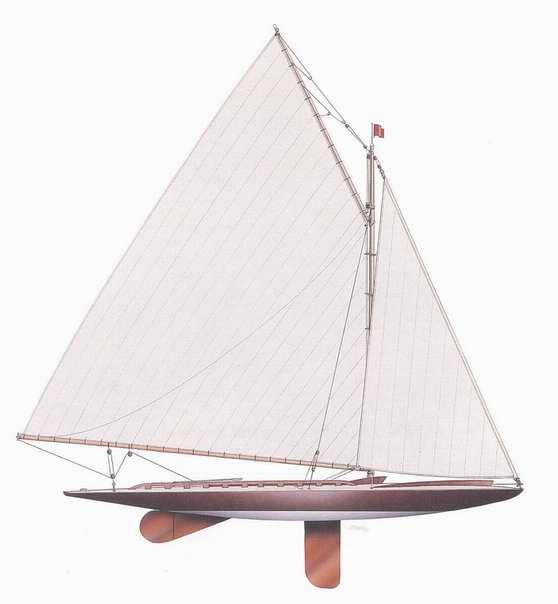 Mabel (1892) was itself a replicate of the famous Herreshoff boat Gloriana (1891) which revolutionized sail sport whith its large overhangs, narrow beam, and cut-away stem. 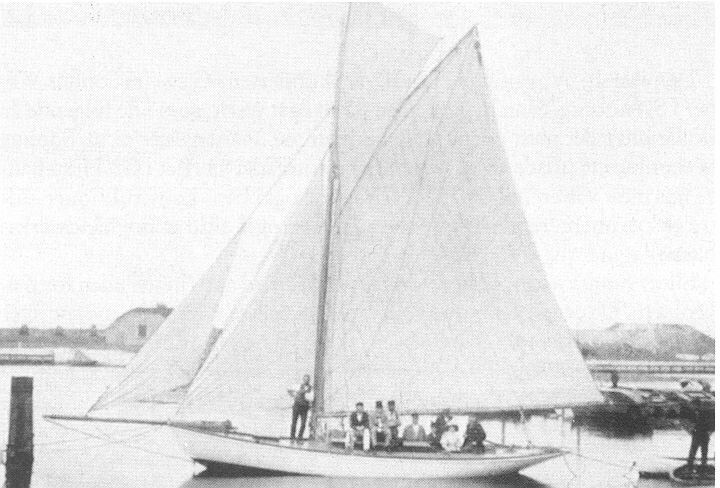 Svendsen's replica was also named Gloriana (SIC) and in races in 1893 it easily outperformed the Norwegian Sinding boats. The latter had - together with the archtype Norwegian double-enders - been brought in from Norway in the 1880s due to their until then fine racing merits. The Sinding boats were a cutting edge design with their external iron keel on to which the keel plank was attached. For a number of years they won many wins. Looking at pictures, Aage's lines resemble those of the Sinding boats. 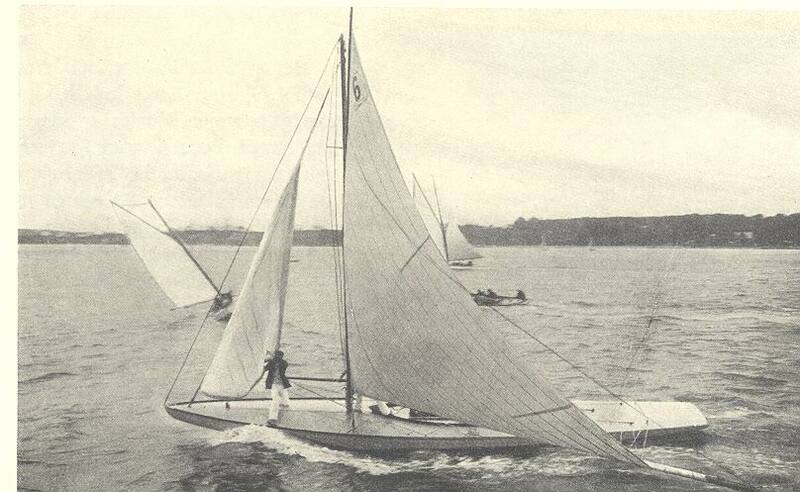 So already in 1893 Svendsen built a racing boat that would easily outperform a boat identical to Aage built in 1912. 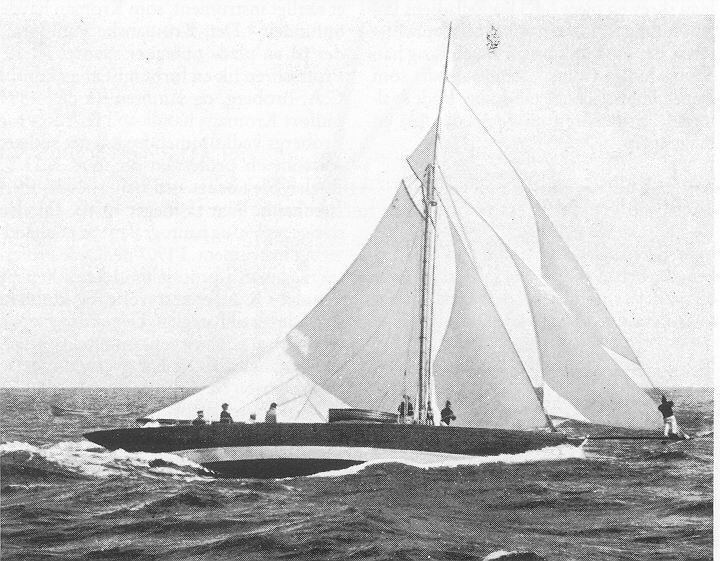 In 1895 the Svendsen brothers built Urania II - a dream boat drawn by Colin Archer. 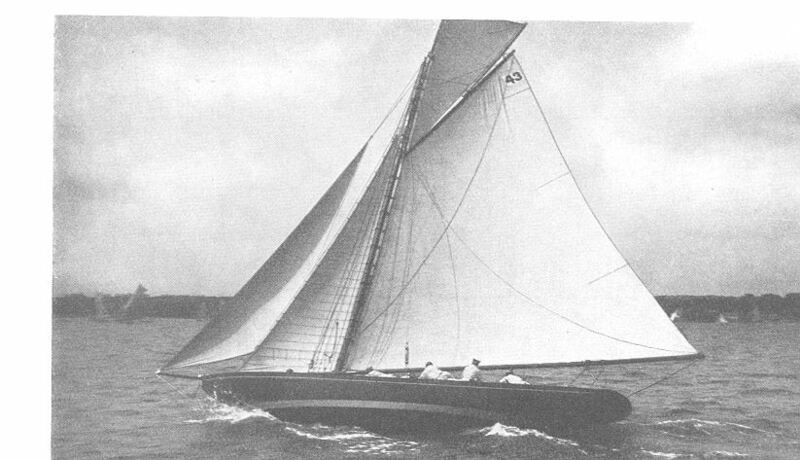 It was a thoroughbred racer along the same lines as Herreshoff's Gloriana and was succesful for a couple of years until superseeded by another new and even more advanced new-build from the Svendsen shipyard. 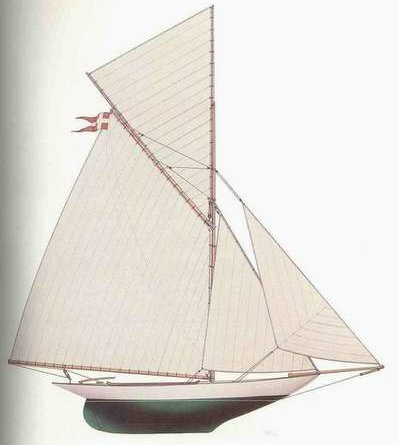 Interestingly, the first Urania was also designed by Colin Archer (though not built by Svendsen) and the story goes that Colin Archer by then was not willing to accept any adherence to the 1892 Danish racing rules. In a letter to the boat's owner, he wrote that "... the rules are imposing limitations on the choices regarding the boat's shape and dimensions. Before I proceed I will therefore ask you to consider if you find it sensible to build a boat which is designed to take advantage of this rule - and thereby perhaps risking to have a ship which, from a common viewpoint, is not what one would want." Colin Archer was given free hands and his boat proved succesful. But the boat also marked the end of the Norwegian supremacy on the Danish racing circuits. Swedish and British cutter designs were to take over. In 1897, the Svendsen brothers built Enten-Eller (Either-Or). It was the first Danish boat with a daggerboard. And due to the boat being build very lightly, it proved unbeatable on the Danish race courses for five consecutive years. Later, in 1906, the Svendsen brothers embarked upon building 6- and 8-meters. In 1908, the sailing club Sundet asked a number of boat builders and designers what characterises a Kragejolle? One builder replied that the Kragejolle originated from the famous pilot boats from the Norwegian Kragerø, but this was flatly denied by the Norwegians who said that it was a Danish thing. Svendsen, by then in Kastrup, replied that a Kragejolle is "build with a keel and stem, narrow or beamy, more or less undercut, but without a transom, cutter rigged." Master Svendsen was apparently a man of few words - and would let the hands do the talking. Shortly after, the sailing club held a competition on the design of a modern Kragejolle with a very simple rule and an addtional requirement that the beam should be between 1/3 and 2/5 of the length. The rule was [ Lm+1/4 D ] where Lm was a measure for length and D the difference between length and sail area. The biggest boat were to measure 7,5 and the smallest 6. According to all sources, this competition was a clear protest against the rich folks' R-boats (meter boats). Svendsen took a prize for the biggest boat. The attempt to re-vitalise the Kragejolle did not really succeed due to other competitions calling for cheep R-like boats. The Maagerne, for instance, became a popular class, and around 1911 Svendsen built 7 of them. Other classes emerged - and Svendsen again built them in large numbers. Interestingly, in 1912 Svendsen built 5 Havlit'er, designed by a A. v. Lindholm who had commissioned many boats by Svendsen. The Havlit'er distinguished themselves from the others in one area: they carried the gunterrig and not the ubiquitous gaff-rig. Both the Maager and the Havlit were comparatively small boats - of 2,500 and 1,500 kg, respectively. Some of them are still around today. But how does all this lead to Aage? Alledgedly Aage was made as a racing boat but this is hard to believe when thinking of the experiences, which Svendsen had already reaped with cutting edge racing designs for the past 20 years. For one thing, Aage would not have been constructed with such a long keel. Also, Aage's massive construction and his (likely) rig configuration of bowsprit and gaff-rig, would make up a poor racing boat. 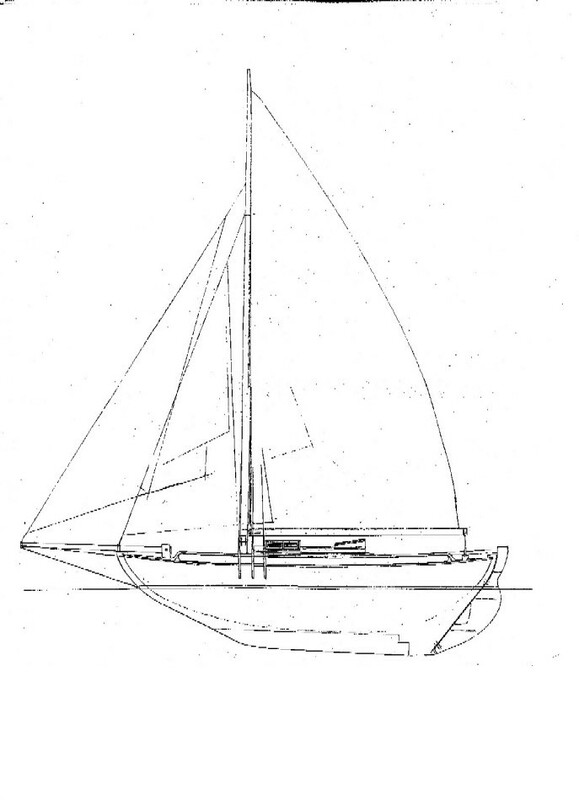 Rather, Svendsen could have envisaged Aage as a kind of cruiser hybrid between the Colin Archer design, the Sinding boats, the Sundet Kragejolle (from the competition) and the later thoroughbred racers like the meter boats. Aage would then end up as a boat solid in construction, with a relatively narrow stem and beam and with that seaworthy stern. This would ensure a nice cruising boat with some cruising range and with a probable life time of many years. For now, all this is of course speculations. Svendsen was rooted in the Copenhagen areas (capital of Denmark), an area which was reluctant to let go of the fine R-meters and cutters. Hence the second wave - turning the Kragejolle into the Danish "National" class Spidsgatters would have to gain momentum in the outskirts of Denmark where the ship building traditions were much more firmly rooted in the utility boats. And where the ship builder also had the competencies to build the double-enders, which supposedly is a much more tricky task than the transoms of today's boats. This path towards what became the largest Danish class of boats was started in 1918 with Utzon's 55 sqm double-ender but the class didn't really take off until a division of the Danish Sail Union set out a prize for a 30 and a 45 sqm Spidsgatter in 1928. See pictures of the class spidsgatters. Read more about the Spidsgatter class and the evolution of the boats (external site).